This is where you can witness everyday life in Splitand feel like one of the locals. 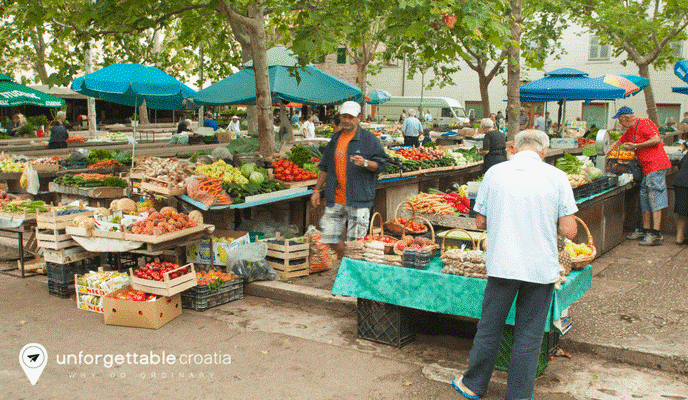 The colourful outdoor market is fast becoming a popular destination for tourists eager to experience authentic Croatia. The popular market used to be located on Fruit Square, but due to the city’s rapid development there was a need for a bigger space. The new market location, provides a central place where the heart and spirit of the city of Split comes alive. This is where locals and tourists come to shop and experience the colours, flavours, aromas, atmosphere and sounds of life in Split. Explore Split on a Croatia cruise. Call our travel experts for more information. Split’s green market is located on the eastern side of the city walls, near to the main road that leads in and out of the city. The fresh fish market is located on the western side of the walls as this is closer to the fishing port of Matejuska. The market is open everyday from 6.30am to late in the evening. If you want to buy flowers or to take your pick of the vegetables and fruit, you should visit the market as early as possible in the morning. The outdoor market is a bustling place full of activity, colour, and every kind of fresh produce that you could possibly want to buy. 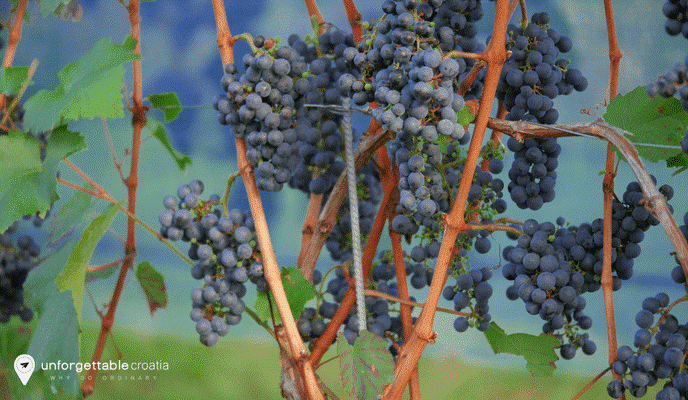 There is fresh fruit and vegetables, herbs, homemade cheeses and cured meats, honey and sweet treats. You can also buy flowers, souvenirs, clothes and shoes. 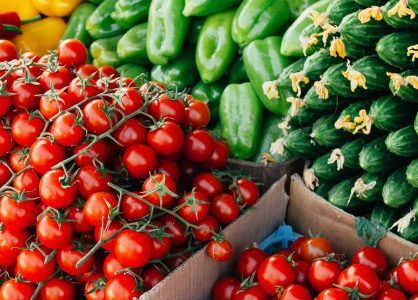 A visit to Split’s green market is an unforgettable experience. The market is a colourful stage where you can witness authentic Croatian living day to day. The market is also the main supplier of produce to the local Croatian community. A visit to the market is a daily ritual for the people of Split. Some locals come to sell their homemade produce, and other locals come to buy it. It’s a traditional hub of noisy activity. The market vendors will try to charm you into buying their produce and wares. You can join in the fun by being open to doing a spot of haggling and blending in with the locals. Unlike shopping in supermarkets and shopping malls, a visit to the green outdoor market allows you to experience Croatia’s true personality. Support the local community by shopping in the green market. Take along your eco friendly bags and be prepared to dive into the atmosphere and activity. Be adventurous and chat to the vendors and locals as you look at, feel, and sample the colourful abundance of produce. We’d love to help you plan an unforgettable trip to Croatia. Combine your visit to Split with more beautiful destinations on a Croatia multi-centre holiday. Call us on 020 8004 2345 to find out more.